This has been a crazy exciting holiday weekend. Okay, let me rephrase that. For a frantic, dangerously close to panicking knitter, this has been a crazy exciting holiday weekend. And by exciting, I mean since arriving home from Thanksgiving dinner at my sister's, I have done nothing but watch Gilmore Girls and knit. I Love Gilmore Girls. It's my favorite show, next to Buffy the Vampire Slayer. Anyway... luckily for me, the Gilmore Girls reunion premiered on Netflix this weekend. Of course I watched it in it's entirety without pausing. While doing that, I finished up three custom orders. As soon as I was finished watching A Year in the Life, I flipped back to Season 1, Episode 1 and kept on knitting. 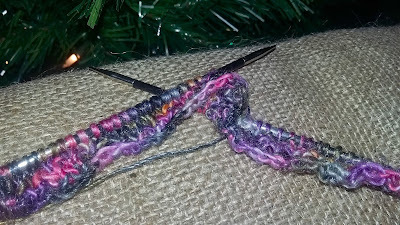 Since then, I've finished up the last of the Must Do shop knitting and cast off two more Christmas gifts. Having all those Thanksgiving left-overs and the fact that my daughter likes to cook has really helped the situation. It's also nice that my daughter gets even more excited about Christmas than I do. She does the decorating. She's been dying to put up our new $20 Christmas tree. (The six foot $20.00 Christmas tree is a whole other story, to be told at a later date.) It's a little plasticky up close but it's up, it's decorated and from across the room, it looks great. 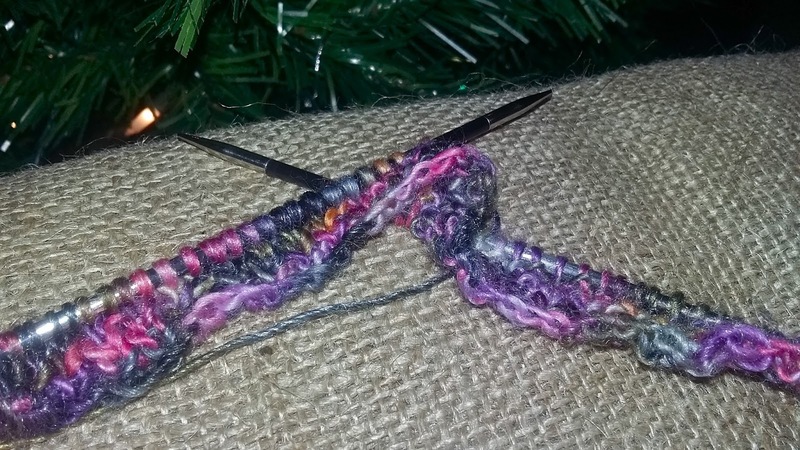 It's also great that, as long as I'm not forgetting anyone, I only have two more Christmas gifts to knit. Two! I'm almost finished Christmas Gift Knitting! I can not believe how much Lorelai and Rory have helped me accomplish. Thanks, girls.